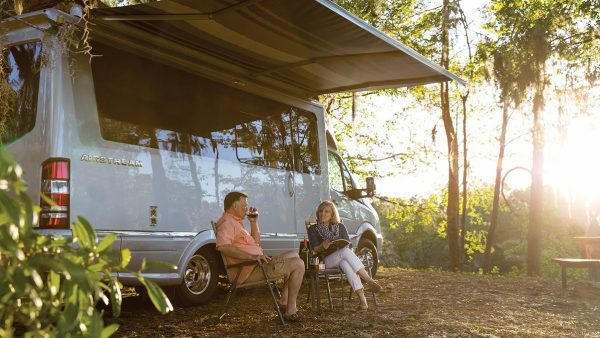 Keep in touch with family and friends with Airstream Connected. 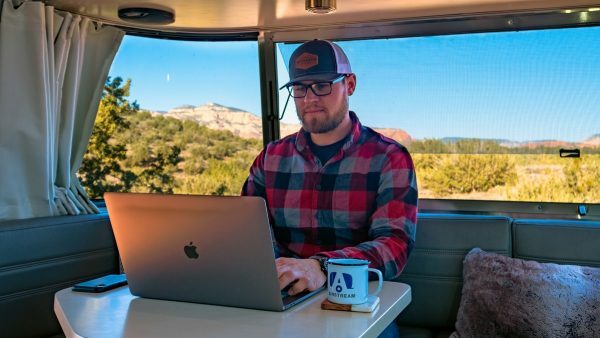 Streaming entertainment, surfing the internet, and sharing your adventures has never been easier with the only connectivity kit made exclusively for Airstreamers. Sometimes campground Wi-Fi can be spotty. 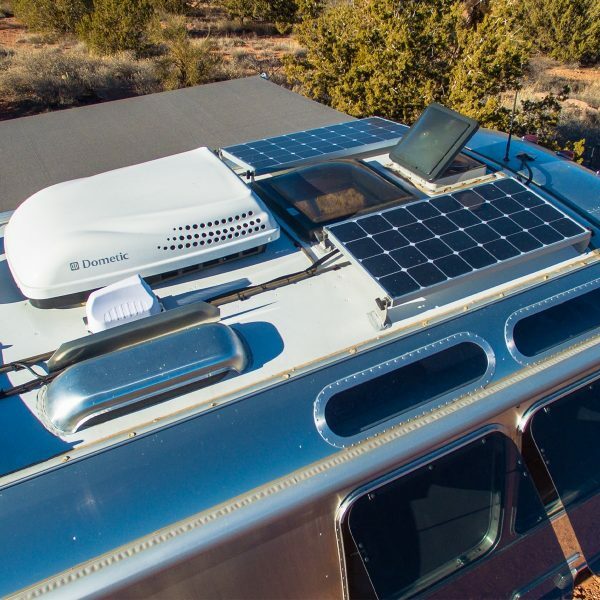 Airstream Connected lets you extend the coverage of existing Wi-Fi networks by taking advantage of a high-gain, roof mounted antenna. With Wi-Fi Boost, you can tell Airstream Connected to seamlessly join nearby Wi-Fi networks. Use several devices with Airstream Connected and make sure that nobody gets left behind. Enjoy the comfort of knowing your mobile device, tablet, computer, and smart speakers can work seamlessly together. Vintage or brand new, Airstream Connected is compatible with any Airstream travel trailer or touring coach. 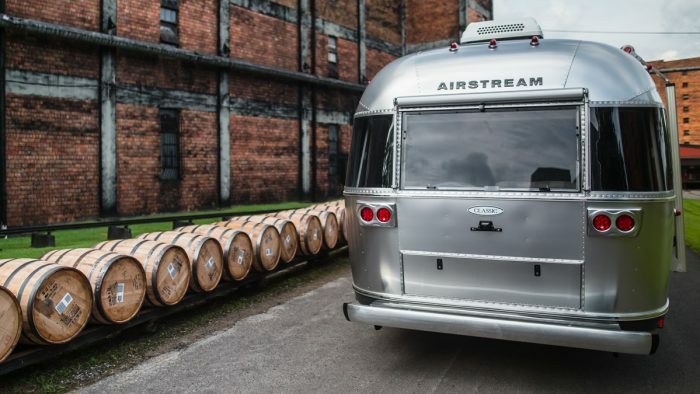 Airstream Connected is offered exclusively through Airstream's U.S. dealer network and requires professional installation. The app is available for free in the iOS App Store and will be available soon on Google Play. Contact your preferred dealer's service department to schedule your installation. Eligible vehicle and AT&T wireless account required. Service and coverage not available everywhere. Other charges and restrictions apply. AT&T wireless services are subject to AT&T’s terms and conditions. Contract required. Available in the U.S. only. 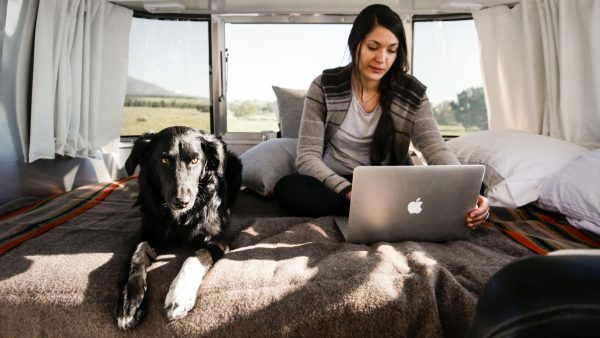 Don’t miss out on updates on Airstream Connected. Sign up to be the first to know more. 2Unlimited for $360 for 1 year (365 days). AT&T wireless account required. Service & coverage not avail. everywhere. Cancel at any time. Pro-rata refund not available. Not transferable. Other charges, & restrictions. AT&T Connected Car Airstream Annual Unlimited Plan (Prepaid). U.S. customers only. Prepaid session-based data plans provide you with access to AT&T wireless data services for your Airstream, including but not limited to features that may be used with wireless data services, content and applications. Eligible vehicle, data plan and compatible SIM card required. Duration: Annual Unlimited Plan is 365 days. May cancel at any time, but pro-rata refund of payment is not available (subject to applicable law). Data plan not transferable if vehicle is sold. Pricing: $360, plus taxes. Devices: Sold separately. Data: For use in the U.S. only. Stream Saver feature not available for this Plan. 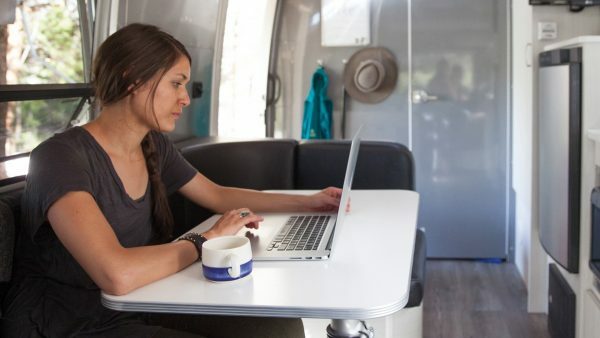 Hotspot: Connects a limited number of Wi-Fi capable devices per Airstream hotspot, as specified by the vehicle maker. Devices connected to hotspot use data from your Airstream plan. Performance varies based on number of devices connected and other factors. Roaming: You get an off-net (roaming) usage allowance for each service. If you exceed the allowance, your service(s) may be restricted or terminated. International and domestic off-net data may be at 2G speeds. Other restr’s apply & may result in service termination. AT&T service is subject to AT&T network management policies, see att.com/broadbandinfo for details. Stream Saver feature not available for this Plan. General Wireless Service Terms: Subject to AT&T Session Based Wireless Data Services Agreement available at https://www.att.com/legal/terms.sessionBasedWirelessDataServicesAgreement.list.html Pricing, offer & terms subject to change & may be modified or terminated at any time without notice. Coverage & service not available everywhere. 35GB for $25 for 1 month (30 days). AT&T wireless account required. Service & coverage not available everywhere. Service renews and is billed monthly until canceled. Pro-rata refund not available. Other charges, & restrictions. Unless you cancel, your plan will be automatically renew every 30 days and your credit card on file will be charged the auto-renewal associated with the data plan selected. You may cancel by logging back into your account once the order has been placed and cancellation options will appear on the Account Overview Page. AT&T Connected Car Airstream 5GB for $25/mo Plan (Prepaid). U.S. customers only. Prepaid session-based data plans provide you with access to AT&T wireless data services for your Airstream, including but not limited to features that may be used with wireless data services, content and applications. Eligible vehicle, data plan and compatible SIM card required. Duration: Session-based prepaid plans for 30 days. Auto Renewal: Plans automatically renew every 30 days unless canceled. To cancel at any time call 1 (866) 595-0191. Auto Renewal Payments: Monthly charges will automatically be billed to credit card on file on day 30 unless canceled. Payments are non-refundable (subject to applicable law). Pricing: $25/mo, plus taxes. Devices: Sold separately. Data: 5GB of data per month. No rollover data. For use in the U.S. only. Stream Saver feature not available for this Plan. Hotspot: Connects a limited number of Wi-Fi capable devices per Airstream hotspot, as specified by the vehicle maker. Devices connected to hotspot use data from your Airstream plan. Once a device connects, it will automatically reconnect and use data from your plan unless hotspot is removed from returning device settings or hotspot password is changed. Performance varies based on number of devices connected and other factors. Roaming: You get an off-net (roaming) usage allowance for each service. If you exceed the allowance, your service(s) may be restricted or terminated. International and domestic off-net data may be at 2G speeds. Other restrictions apply & may result in service termination. AT&T service is subject to AT&T network management policies, see att.com/broadbandinfo for details. General Wireless Service Terms: Subject to AT&T Session Based Wireless Data Services Agreement available at https://www.att.com/legal/terms.wirelessCustomerAgreement-list.html. Pricing, offer & terms subject to change & may be modified or terminated at any time without notice. Coverage & service not available everywhere.